Limestone is a natural stone with a beautiful look. It’s an appealing addition to most decors, and it can work with any decorating style ranging from traditional to modern. Available from top suppliers, the stones are a great choice for your living room, the new shower you’re having installed, or your outdoor kitchen. Before you choose another product for your floors or walls, consider how shell reef limestone can enhance and improve your home. This sedimentary rock is made primarily of calcite and aragonite. It makes up about 10 percent of all sedimentary rocks, and it’s been used as a building material for thousands of years. The Great Pyramid is made of limestone, and the city of Kingston, Ontario in Canada has numerous buildings that are made from this attractive stone. This unique type of limestone is made primarily from animal shells. As animals die on the ocean floor, their shells are left in the ocean, lake or river bottom to accumulate. Over time, the limestone forms from these shells, and the patterns that are left behind are marvelous to behold. The consistent color prevents the patterns from being too obtrusive, but they create a fantastic dimensional look that can enhance any home. The shells may result patterns that mimic wheat or even take on the look of flowers. If you’ve considered marble but worried about the cost, then you might want to take a closer look at limestone. 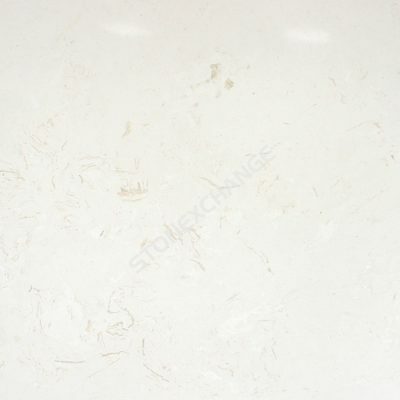 One of the great benefits of this stone is that it’s very cost effective. It’s more plentiful than other natural stones, so it tends to carry a lower price. It’s incredibly versatile with its light colors and the ability to produce several different finishes. Finally, it’s a durable option that’s proven it can withstand the passage of time and the rigors of regular use. It’s an appropriate building material for almost any area of your home, so you can use it around the patio or have it installed as the floor in your luxurious new kitchen. If your home has a cool architectural feature that you want to make more impressive, then place an order for shell reef limestone. The fossil-formed patterns give the tiles a sense of movement and motion for a unique look. Consider using these stones to cover the pillars on your front porch, or bring more attention to your fireplace surround by covering it in smooth limestone. You’ll love the natural look of the limestone, and the three-dimensional finish will ensure that this simple architectural feature becomes an impressive highlight. If you love rooms that stand out, then you may be drawn to bolder, richer colors. Finding the right balance with vibrant hues can be challenging, but the perfect answer is shell reef limestone. The 3D quality of the stones pairs beautifully with rich colors that need some balance. The colors won’t overwhelm your floor or countertops, and the subtle shading and patterns in the tiles will prevent the brilliant walls from dominating the space. The natural look is appropriate for any outdoor living space, and that includes your patio or pool deck. Limestone is a great choice for these areas because of its durability. Polished and sealed, it can withstand the rain and damp weather, so it’s a fine choice for the outdoor kitchen or a walkway to the garden. When you choose shell reef limestone, the natural patterns in the tile will create visual interest and prevent the area from feeling dull or ordinary. In addition to using the limestone as the seating area floor, you can also use it to cover the walls of your pool house, finish off your counters in the outdoor kitchen or as a topper for your luxurious new custom table. Do you love the look of wood floors but want to dress them up? Consider a border of shell reef limestone. Finish off your new floor with a row of limestone that dances around the edges and makes a large room feel more inviting. The limestone flooring can also be used as an inset to a wood floor to clearly define a seating area or dining space. You’ll never grow tired of the interesting patterns, and the contrast between the warm wood and limestone will take your home to the next level. Some designs call for solid floor finishes that are later enhanced with area rugs. This is a great choice if you want to make a room warmer or quieter, but it may not be what you’re looking for. When you want a solid stone floor without anything to break up the span, then a floor with some light patterns can be the right choice. Shell reef limestone has subtle patterns that are created by time and fossils. The sense of motion gives is a three-dimensional look that eliminates the need for any other floor covering. Rather than covering up the floor with another material, you can enjoy the beautiful look for years to come. This makes limestone a particularly great choice for foyers, pool decks and other areas where the floor expanse may not be broken up by furniture or other accessories. When you’re ready to work up the final designs for your home, consider the benefits of shell reef limestone. This material is crafted by nature and is incredibly attractive. It’s durable and cost-effective, and that makes it a fine choice for any home or budget. The patterns give these tiles a three-dimensional look without adding any texture. Appropriate for indoor and outdoor use, they’re available from Nalboor. Make the investment in shell reef limestone to add a beautiful finish to any area of your home and ensure that your property looks impressive and luxurious.